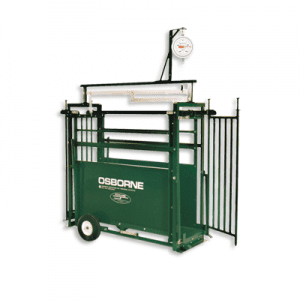 This scale features standard side panels, side-opening gates, a wheel kit for easy transportation, and a weighing meter with digital read out. The scale platform is 14 in. (36 cm) wide and the scale weighs animals up to 500 lbs. (227 kg). * Electronic digital meter is included with this scale.